Power frequency induction furnace frequency power mixing results better. Power frequency power is too large stirring force to make the molten steel on the lining of the scouring force for the removal of impurities in the steel and uniform chemical composition, uniform temperature. Not only landed refining results but also the life of the crucible. Easy start operation. Because the skin effect of the intermediate frequency current is far greater than the power frequency current flow, there is no special request for the charge when starting the medium frequency induction furnace, and the heating can be rapidly heated after charging. The frequency induction furnace requests a specially made open charge The block (similar to the size of the crucible, which is about half the height of the crucible, cast iron or cast iron) turns on heating and has a slow heating rate. Read this, the cycle of operation conditions mostly use medium frequency induction furnace. Another benefit of easy start-up is that it saves power when cycled. Due to the above advantages, IF induction furnaces have not only been widely used in the production of steel and alloy in recent years, but also found rapid development in the production of cast iron, especially in the foundry workshops with periodic operations. Medium frequency induction furnace supporting equipment Medium frequency induction furnace complete sets of equipment includes: power and electrical control section, the furnace body, transmission and water cooling system. Frequency induction furnace also used as a holding furnace, frequency induction furnace Frequency induction furnace is the industrial frequency current (50 or 60 Hz) as the induction furnace. Power frequency induction furnace has developed into a more common use of smelting equipment. Mainly used as a melting furnace for smelting gray cast iron, malleable iron, ductile iron and alloy cast iron. In addition. With the former, the frequency induction furnace has been replaced as the main equipment for the production of castings, compared with the cupola, power frequency induction furnace with hot metal components and easy to control the temperature, the total amount of gas and inclusions in the casting is low, Do not pollute the environment, save energy and improve working conditions and many other advantages. Therefore, the frequency induction furnace has been rapidly developed in recent years. Frequency induction furnace full set of equipment includes four parts. Furnace part of the cast iron smelting furnace frequency induction furnace furnace part of the induction furnace (two, one for smelting, the other spare) furnace cover, furnace frame, tilt furnace, furnace lid opening and closing devices and other components. 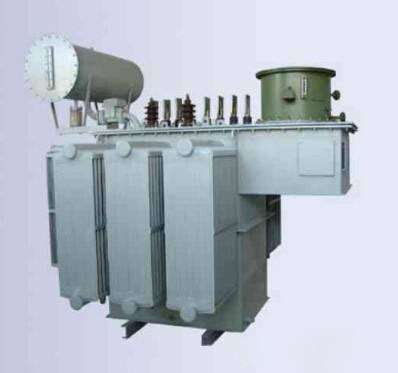 Electrical part of the electrical part of the power transformer, the main contactor, balance reactor, balancing capacitors, compensation capacitors and electrical control desk and other components. Water cooling system Cooling water system includes capacitor cooling, inductor cooling and soft cable cooling. Cooling water system is composed of a pump and circulating water tank or cooling tower and pipeline valves. Frequency induction furnace its main frequency in the 150 a 2500 Hz range. Domestic frequency induction furnace power supply frequency of 1501000 and 2500 Hz three. The medium frequency induction furnace is a special smelting equipment suitable for smelting high quality steel and alloy. The hydraulic system of the hydraulic system includes oil tank, oil pump, oil pump motor, hydraulic system pipeline and valve, hydraulic operation table and so on. Second, the intermediate frequency induction furnace IF induction furnace power supply frequency range of 150 a 10000 hertz induction furnace is called the intermediate frequency induction furnace. Compared with the work of induction furnace has the following advantages: melting speed, high production efficiency. Medium frequency induction furnace power density, power per ton of molten steel than the frequency induction furnace about 20-30%. Therefore, under the same conditions, IF furnace melting speed, high production efficiency. Adaptable, the use of mobility. Medium frequency induction furnace furnace liquid steel can all out of the net, easy to replace the steel; and power frequency induction furnace per furnace liquid does not allow a net, we must retain part of the molten steel for the furnace start, so inconvenient to replace the steel, only applicable In the smelting of a single variety of steel. Electromagnetic stirring better. As the liquid steel to withstand the electromagnetic force is inversely proportional to the square root of the power frequency, so the mixing power of MF power supply is smaller than the power frequency power supply.